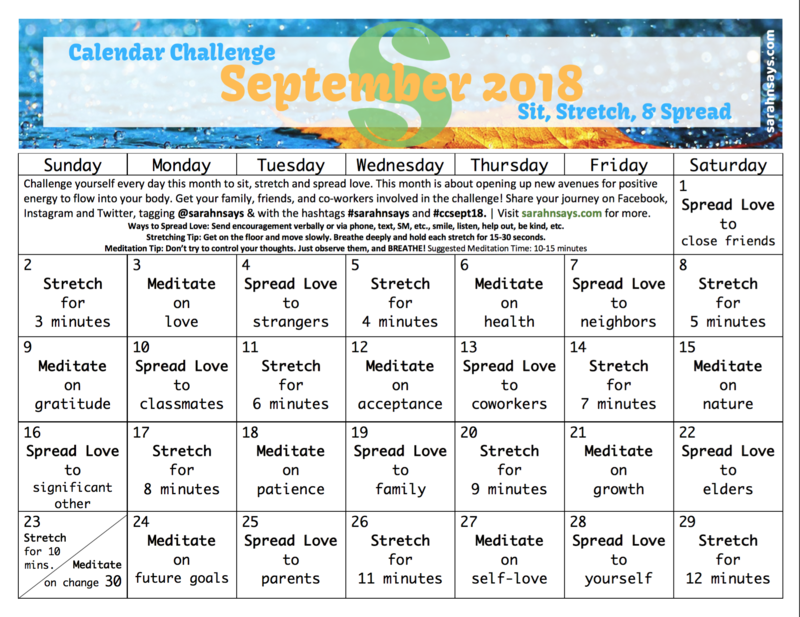 Challenge yourself every day this month to sit, stretch and spread love. This month is about opening up new avenues for positive energy to flow into your body. Get your family, friends, and co-workers involved in the challenge! Share your journey on Facebook, Instagram and Twitter, tagging @sarahnsays & with the hashtags #sarahnsays and #ccsept18.